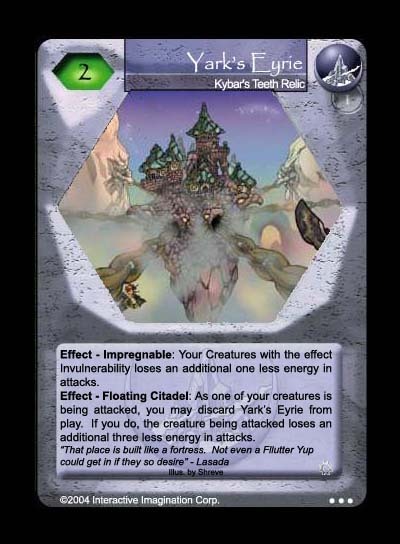 Yark's Eyrie, the capital city of Kybar's Teeth and one of the most impressive sites in the Teeth. Invulnerability is what this set offers and invulnerability it is as both effects offers advantages to the KT creature that is between a rock and a hard place. The images is by Shreve and is one that 2i released for KT.